When Josie (not her real name) was aged 6 years 6 months (6;6) she had a Severe Phonological Disorder in the context of mid-average receptive and expressive language performance. With scoring erring on the generaous side her Quick Screener revealed a tentative single word PCC of only 30%. On this page are links to resources similar to those employed in Josie's therapy (Bowen, 2009), in therapy sessions and at home with her family (her parents David and Maureen and her siblings Emma, Jasper and Ruby). 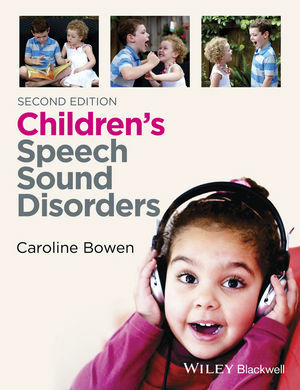 The worksheets actually used in Josie's speech pathology intervention were on the 1998-2011 version of this web site and most have been updated or replaced on the new site. Stimulability Training (Phonetic Production Training) for ch and /s/. Sound-Picture-Symbol associations for all fricatives and affricates. Auditory Discrimination using PACT Multiple Exemplar games page 2, #4 for fricatives and affricate. Near Minimal Pairs Games for the adjuncts/st/, /sp/ and /sk/ SIWI vs /t/, /p/ and /k/ SIWI respectively. Auditory Input Therapy for "ch" SIWI. Imagery (see handout) was introduced for voiced and voiceless affricates and /s/ and the glides. Sound-sorting games in which Josie had to select between glides and affricates with these and these. Multiple exemplar activitiesfor all fricatives, the affricates and the glides. Judgement of correctness game chew, chore, cha-cha-cha vs. Sue, saw, sah-sah-sah. Judgement of correctness game chew, chore, cha-cha-cha vs. ewe, your, yah-yah-yah. Production practice of 10 "ch" SIWI CV and CVC words. Near minimal pairs games for Final Consonant Deletion (FCD). Minimal Pair Games with Minimal Triplets: chew, shoe, sue; chip, ship, sip; etc. Rhyming cloze task: shoe rhymes with ch…, Sue rhymes with ch…, etc for "ch" SIWI. Rhyming cloze task: ewe rhymes with ch…, wick rhymes with ch…, etc for "ch" SIWI. Production practice of 8 words with "sh" SFWF. Production practice words for "ch" SIWI. Near minimal pairs games for FCD (bee beach, cow couch, etc). This was a “parent education” session without Josie It included Slide Shows on Modelling and Recasting, Frequency of Recasting, and revisions and repairs - "The Fixed-up-One Routine". Detailed homework instructions for working with Josie in 5 to 7 minute “bursts”, once, twice or three times daily in the summer holidays were given. Her father kept in touch by email. The family’s tasks were to model and reinforce the adjuncts /st/, /sp/ and /sk/ SIWI, final consonant inclusion, and do to activities around the affricates and /s/, talking about the imagery and sound-letter-symbol associations, and to maintain stimulability. The Quick Screener was administered and scored while her parents observed. Multiple Oppositions approach for ALL s-clusters (using SCIP). Imagery cues for ALL s-clusters. Polysyllabic words (trochees) for production, focusing on weak syllable inclusion. Minimal Pair activities for /s/ vs. "sh" SIWI. Production practice for the adjuncts /st/, /sp/ and /sk/ SIWI. Strong, consistent rewards for self-corrections. Josie was not well, attending only briefly. She was still unwell the next week and unable to attend. Clusters: “two-step words”: stop, swing, fly, true, etc. “Finger walking” and silent tapping of syllables. Josie used pictures from her "speech book" to make up her own Fixed-up-One Routine for clusters. Minimal pairs alveolar vs. velar nasal: win wing, pin ping, etc. Production of nonsense syllables, -iff, -off, -aff, -uff. Production of -Iffy, -offy, -ffy and -uffy. Judgement of correctness task for "ngk", /nt/ and /nd/ SFWF. Fixed-up-One Routine for "ngk" as in wink, /nt/ and /nd/ SFWF. Chaining technique used to elicit /f/ SIWI (iffy-fee, offee-fee, affy-fee). Focuson /f/ and /v/ concurrently using a combination of traditional phonetic production training and multiple exemplar activities and the f-hat-fat, f-heat-feet strategy: the "Aspiration Trick". Traditional "van Riper therapy" for /f/ and the clusters /fr/ and /ft/. Lexical innovation for /ft/ SFWF (laugh / laughed, cough / coughed, etc). Minimal Pairs: /f/ vs. /v/ SIWI. Auditory discrimination games for /r/ and /l/ (lung-rung, lead-read, list-wrist, etc). As for Session 13, plus Auditory Bombardment for /l/ SIWI. Story retelling narrative task for /f/ and /v/ in story retelling and narrative tasks. Praising Josie with "labelled praise" for self-monitoring. Production practice: la-la-laugh, la-la-laugh, la-la-last, etc. Auditory Bombardment for /l/ SIWI and SIWW.